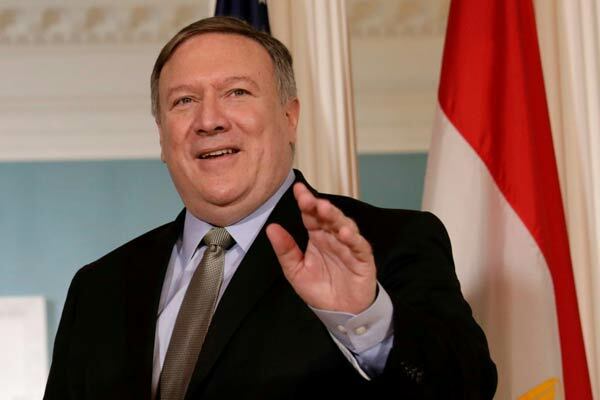 The US is determined to push Iranian oil exports to zero, US Special Representative Brian Hook said, through a ‘calibrated’ approach using maximum economic pressure without lifting oil prices. The US resumed sanctions on Iran’s oil, shipping and banking industries on Monday after President Donald Trump pulled out of a 2015 nuclear deal earlier this year. It granted temporary exemptions to eight countries allowing them to continue importing Iranian oil, although it said the ultimate goal is to completely halt exports from Iran. The deputy head of Iran’s elite Revolutionary Guards, Brigadier General Hossein Salami, said on Wednesday that his country can flourish under sanctions and would defeat the US in the economic war. Oil prices in October rallied above $85 per barrel on fears of a steep decline in Iranian exports and have fallen since then. On Wednesday, oil slipped after US crude output hit another record and domestic inventories rose more than expected. Asked if the administration had a target in reducing Iranian oil exports in the next six months, Hook said: “I can’t tell you what our target is; we do have a target.” He added that the ultimate aim was to halt Iranian exports entirely. He said the US expected increased global oil supply in 2019, surpassing demand, which would better position Washington to ask Iranian oil importers to reduce purchases to zero.